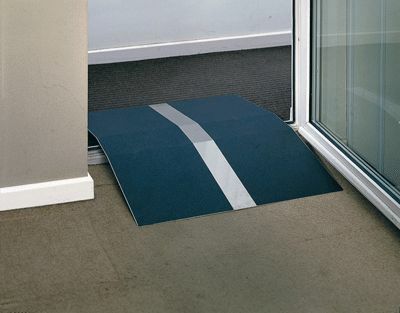 Providing wheelchair or scooter users with an affordable, reliable and safe solution for navigating raised thresholds, this door frame threshold ramp will clear levels of up to 70mm (that's nearly three inches). It's easy to carry and store due to its aluminium construction, and with a durable slip-resistant track that will reassure, the ramp can support weight of up to 130kg (28½ stone). Why make life more complicated than it needs to be? This ramp is a simple, affordable and easy solution for navigating door frames with raised thresholds.